Looking to add some color to your next promotion? These graphics feature a subdued design with simple seasonal images. 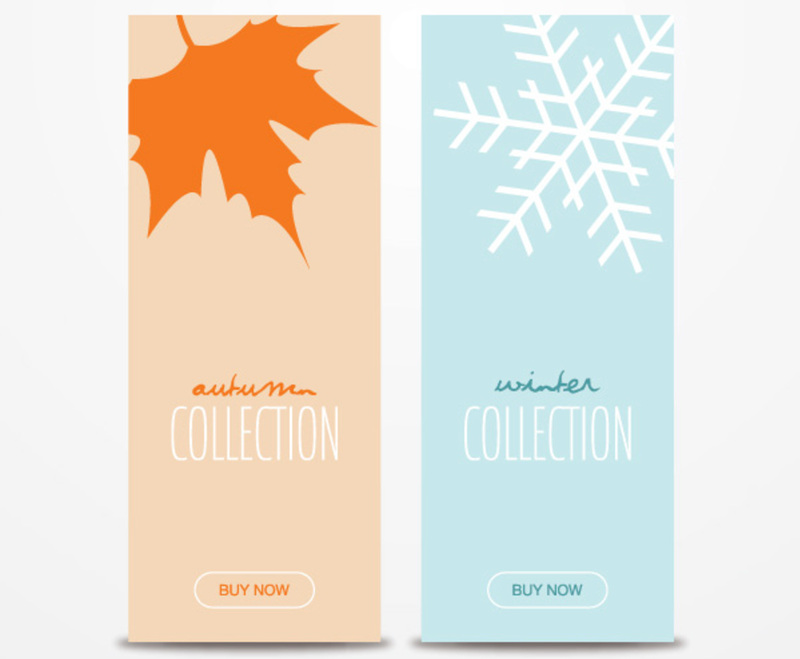 The autumn banner uses the soft orange of falling leaves, while the winter banner focuses on a pleasing pastel blue. Each banner features text in a hip font along with a clear call to action. They're somewhat casual graphics, but attractive and engaging thanks to an excellent use of empty space. The banners have a sense of continuity when used back-to-back, and they're perfect for websites with seasonal products. The minimalist approach allows you to easily customize each graphic as needed.